FOLLOW THE REDS ON WSLM RADIO! WSLM is your new home for Cincinnati Reds Baseball on WSLM 1220 AM. 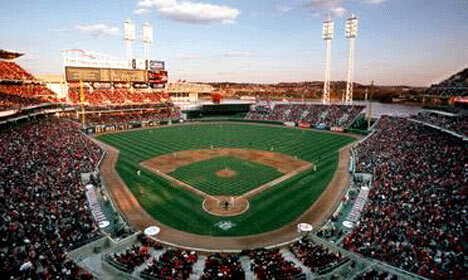 Get ready for the kickoff of the 2013 Season with the first Spring Training game on February 22 as the Reds take on the Indians at 3:05p on WSLM 1220 AM. And catch the RED HOT STOVE LEAGUE on Tuesday nights at 6:30p. Click HERE for the Reds Schedule!